S. Hayes, Director – EMC and Safety TRaC Global Ltd.
“Technical Sales Solutions (TSS),has worked with MPEfor the over 5 years as a partner in the USmarket. In particular, our collective efforts have been focused on entering the U.S.Military market with a range HEMPprotection filters. MPE’s innovative white paper designs, reliability, technical expertise and professionalism have made it possible to start building a strong brand name. “Eretec Inc. has provided the first EMP protection system in Korea fully compliant to MIL-STD-188-125-1/2. To fulfill the requirement of the initial project in Korea, Eretec utilised MPE HEMP filters to ensure the best quality and highest reliability. The decision to use MPE product was made after carefully reviewing various other manufacturers HEMP filter products. Whilst conducting business with MPE for EMP protection system, we have found MPE to be a very responsive organisation with state-of-art technology and the highest quality. Thanks to the best quality and technology of the MPE filters, Eretec has provided the greatest number of EMP filters within the Korean market and Eretec continues to receiving high levels of enquires. In particular, the HEMP filter units mentioned successfully passed fully compliant to the MIL-STD-188-125 test when tested by an authorized test organisation in Korea. Based on such confidence, Eretec strongly recommend the use of MPE products to any future opportunity or client. Jun-Sun Park, CEO – Eretec Inc.
Scott White, Vice President – Jaxon Engineering & Maintenance Inc.
“MPE Limited has a well-established track record of supplying HDT Expeditionary Systems Inc. with feedthrough filters. HDT regularly orders these custom feedthroughs, in quantity, which have been supplied over the past five year period. 1,000’s of units having now been provided to HDT. Tony Krogh, Manager III Program – HDT Global. Dr. Armin Kaelin, CEO – EMProtec AG. “For numerous years, MPE Limited have supplied a large quantity of EMI protection filters to Webasto Thermo & Comfort UK Ltd and other Webasto subsidiaries within the group, for installation in Military vehicle applications. Throughout this period, the EMI protection filters have been supplied in multiple consignments to an agreed delivery schedule. Where required MPE have always been flexible in working with Webasto to either accelerate or increase the supply due to fluctuations in demand. Richard Stoakes, Operations Director – Webasto Thermo & Comfort UK Ltd.
“MPE have been a valued and trusted supplier to Moog for over 20 years. 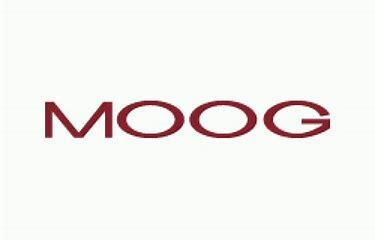 During this period, MPE have supplied over 25 different designs of its high-performance, high-reliability, feedthrough capacitors, for inclusion within Moog’s range of mission critical motion-control systems.